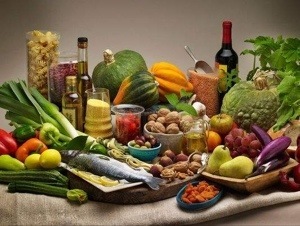 New Clinical Trial: Eat Like a Mediterranean! A new clinical trial gives strong scientific proof that that the so-called Mediterranean Diet is the real thing. Tasty AND cuts your risk of cardiovascular incidents by 30%! Steal …Err… Buy This Book! 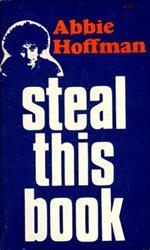 When I was a kid, there was a subversive counter-culture book with the crazy title Steal This Book by Abbie Hoffman. While I would never endorse stealing – it goes against my ethics – one of my siblings obtained (hopefully purchased or borrowed from a friend rather than committing the act endorsed by the book’s title) a copy. I have to say I was intrigued by the subversive writings in the book where one could learn how to shoplift, make Molotov cocktails and similar illegal and immoral acts. 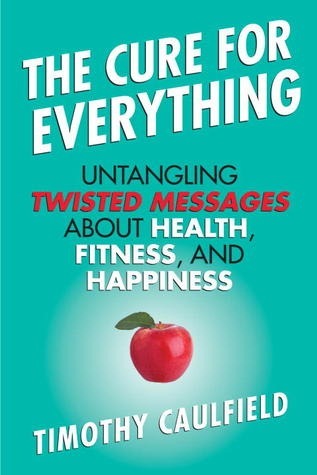 Anyway, for some strange reason, I thought of that legendary counter-culture tome, when coming across the book I just finished reading, Timothy Caulfield’s The Cure for Everything: Untangling Twisted Messages about Health, Fitness, and Happiness. Bear in mind, The Cure for Everything is not counter-culture and does not espouse anything remotely illegal or immoral. Still, I think everyone with even the most remote interest in health, fitness, or weight loss should get a copy of this book; but please don’t steal it because the author deserves every dollar for writing this wonderful book. So why the ringing endorsement of this non-fiction work? Because in this book, Dr. Caulfield, a professor of health law and policy at the University of Alberta, manages to take a balanced, scientific, but decidedly non-academic, look at health, fitness, weight loss, medicine (both western and alternative), genomics, the corporate food and fitness industries, and the pharmaceutical industry. Furthermore, on each of the subjects, Caulfield also manages to share his personal experiences, all the while, reminding his audience that his personal experience should carry less weight than the results of the clinical trials and other research he discusses. Dr. Caulfield takes nothing for granted and unlike the vast majority of books and websites on the subjects of health, fitness, and diet, he takes no point of view other than applying healthy skepticism and the scientific method to the analysis of these immensely important issues. In this post, I hope to share the essence of this very-readable book. You don’t lose weight from exercise. At least not from exercise alone. For decades I chose to disagree with this fact, thinking if I just exercised regularly, I would be of normal weight. Now you need to understand that I’ve never been obese and have always considered myself athletic. That said, I have cursed my mid-section for some time. In fact, while training for marathons (I ran my last one 4 years ago and have completed 7 in my life), I was still unable to eliminate my pudgy gut. Talk about frustrating. Furthermore, according to the standard BMI calculations, I was indeed overweight (though never by more than 10-15 pounds) for at least 3 decades. Cut back on calories. Smaller portions. Get used to eating less because you probably eat too much now. Aside: I maintain a food & exercise diary on myfitnesspal.com. They have a great web-based tool as well as apps for all major smart phones, including iPhone, Android, and Windows Phone. I highly recommend using myfitnesspal. According to Caulfield, the food industry likes us to eat. They pin the blame for obesity on personal responsibility and physical inactivity. So go ahead, eat that Big Mac and down it with a couple of Coca Colas. And then go ahead and exercise, because that will keep the pounds off and cure obesity. Never mind the fact that exercise alone doesn’t keep the weight off. But then if eating well was the answer, the food industry wouldn’t make money. That’s why the food industry, including Coca-Cola, regularly sponsors athletic events. Exercise, while it won’t help you to lose much weight, is the recipe to fitness. But despite what you may have heard, low-intensity exercise doesn’t make you fit. You need to crank up the intensity to achieve fitness. High intensity interval training is best. The author is especially fond of resistance (weight) training, claiming you will get the most bang for the buck with resistance training. Again, not wimpy weight training, but you need to work the weights hard and push yourself to the edge. IOW, “no pain, no gain” is true! One more thing: spot toning is a fallacy. To get six-pack abs, you need to reduce your body fat to the point where your abdominal muscles are exposed so there is no layer of abdominal fat between your skin and you ab muscles. Oh, and for the most part, stretching is a waste of time. And while exercise alone won’t help you lose much weight, it is helpful to maintain weight loss. The vast majority of alternative medicine is based on faith and the placebo effect. Not the scientific method. Of special note, homeopathy is a croc. I mean the whole idea is to take drugs and dilute them to some ridiculously diluted potion and then have faith that it will cure your malady. Horse-pucky says Caulfield (I may have paraphrased him). Aside: I had an overuse injury to the ball of my left foot several years ago caused by marathon training. A co-worker acquaintance at the time who had studied homeopathy at Bastyr University decided she would treat me. So for a number of weeks I took these homeopathic concoctions. They didn’t work; she finally gave up. And just in case you thought that Caulfield only has negative things to say about alternative medicine, he also has a mouthful for western medicine as well, especially the untoward influence of Big Pharma (the pharmaceutical industry). Big Pharma influences research in big ways (amazingly, just like Big Food; surprise!) according to Caulfield. How, you ask? “In every way imaginable,” according to the author. By funding and not funding research, by ghostwriting articles, by underwriting medical conferences that are friendly to the company’s products, and by providing free samples to your family practitioner or specialist physician, just to name a few. Caulfield (and I) believe that many scientists in the research community are fighting back against the influence of Big Pharma money but it’s a difficult battle. The solution: independence. That is, don’t allow pharmaceutical companies to directly fund research. Like in the old days when the NIH (National Institutes of Health) were fully funded. Not really, but go out and get yourself a copy of this book, either in print or electronic form!